Native Edge Landscape is committed to being environmentally responsible by only using the most sustainable practices. 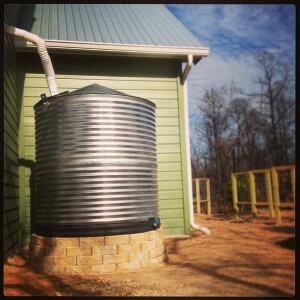 Rain gardens are one of the best examples I have seen of this in my time here at Native Edge. The juxtaposition of clay soils and limestone bedrock here in Austin naturally sheds stormwater into the city’s drainage system and aquifers. A rain garden is a depression that consists of a variety of layered soils and gravel designed to collect stormwater runoff, allowing it to be quickly absorbed into the soil. This unique feature is used to solve a variety of problems created by common construction techniques, such as standing water and erosion. As you can see, a rain garden is hardly distinguishable from a traditional garden bed. 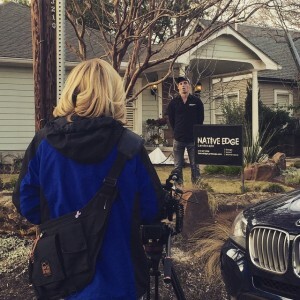 Native Edge works hard to seamlessly blend this feature into your landscape. Our commitment to using exclusively native plants perfectly aligns with the functionality of rain gardens, which require plants that can handle weather extremes. Their fibrous root systems help filter chemicals such as pesticides out of local groundwater. 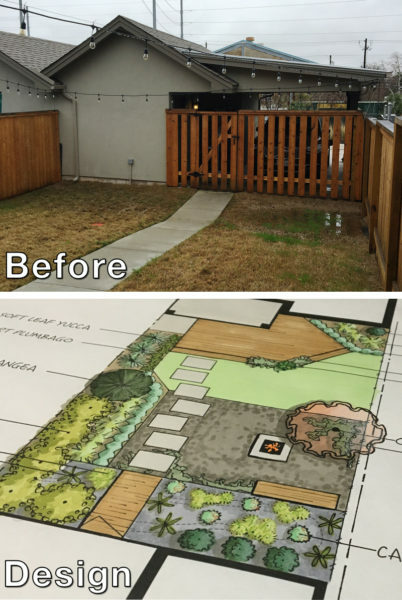 “Rather than moving the water, which would have created problems for their neighbors, I designed a bridge over a rain garden to transform the issue into a nice feature of their yard,” said Jill. The City of Austin is currently under Conservation Water Restrictions. 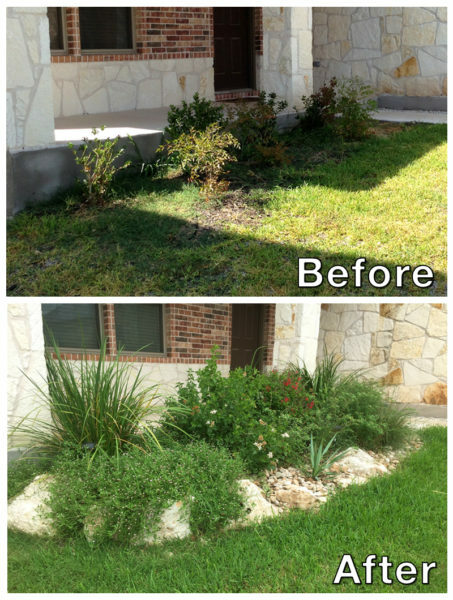 By adding features such as rain gardens to your yard you may be eligible for rebate. If you think that a rain garden would benefit your space, please contact us to set up a Consultation!